The Colorado Violent Death Reporting System (CoVDRS) at the Colorado Department of Public Health and Environment just released a report on homicide deaths in Colorado. 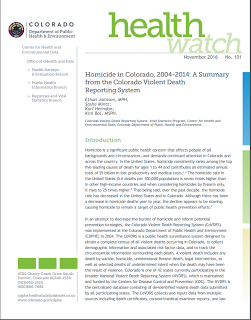 The report Health Watch No.101: Homicide in Colorado, 2004-2014: A Summary from the Colorado Violent Death Reporting System contains detailed information on the burden, characteristics and overall profile of homicide deaths among Colorado residents of all ages. 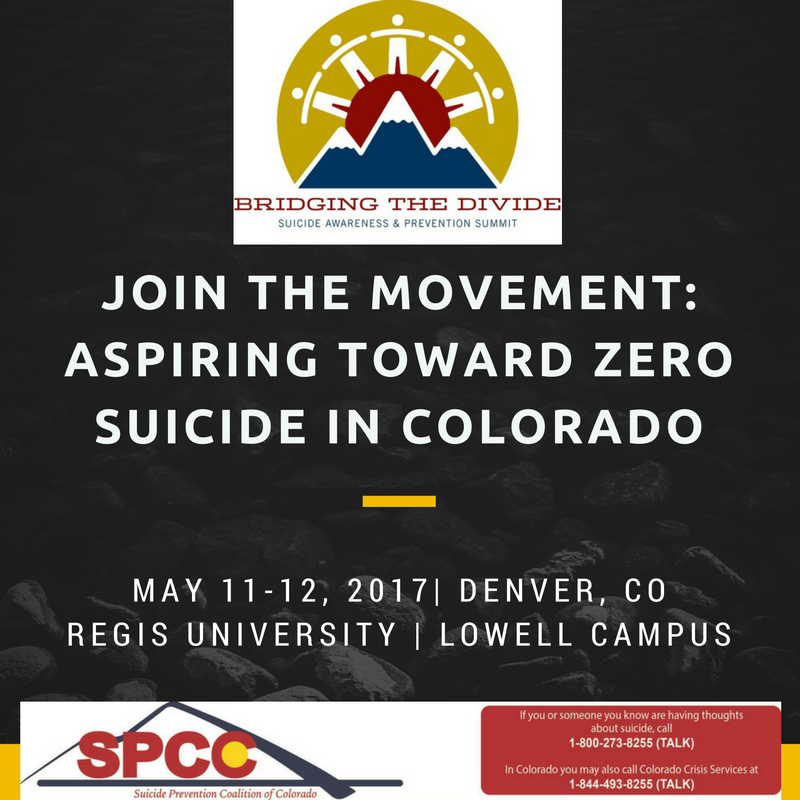 The goal of this report is to inform injury and violence prevention efforts, as well as raise awareness about the impact of homicide deaths in Colorado. The data in the report come directly from the enhanced public health surveillance system CoVDRS which is part of the National Violent Death Reporting System (NVDRS). The NVDRS collects detailed, multi-source data on violent deaths throughout the United States and is funded and maintained by the U.S. Centers for Disease Control and Prevention (CDC). If you have questions or want more information about CoVDRS contact Ethan Jamison, CoVDRS Coordinator, at: ethan.jamison@state.co.us or 303-692-2093. 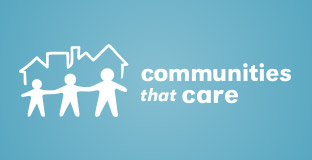 This position is responsible for the evaluation plan to assess fidelity to the Communities that Care (CTC) model, contextual indicators that impact the success of CTC and prevention strategy implementation, impact of the implementation of prevention strategies across funded Communities that Care sites, and outcome monitoring over time.